Western Canadian Robotics Society website. A science fiction festival, a robotic society… lets put them together and there we go. And so we did last Saturday, by offering a demonstration for the public of Con-Version25. We put our robots in motion, explaining- how they behave, what is their duty, how they are built. 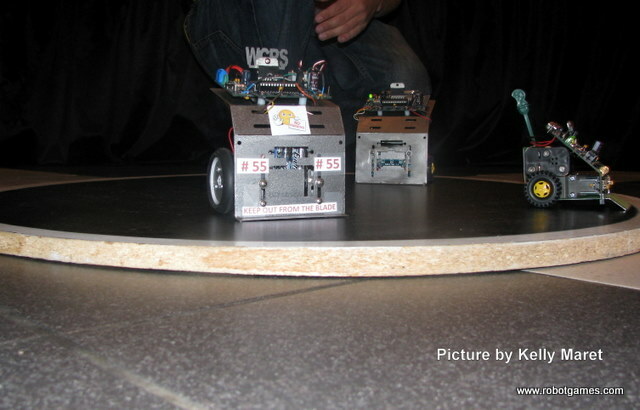 To promote the Robot Games 2010, we had a mini sumo wrestling fight and Micro-tanks mine sweeper driving around in the crowd . We Also had a member’s new creation, a mini replica of Johny 5, from the movie Short Circuit. We also introduced our new RS Media, from WowWee. 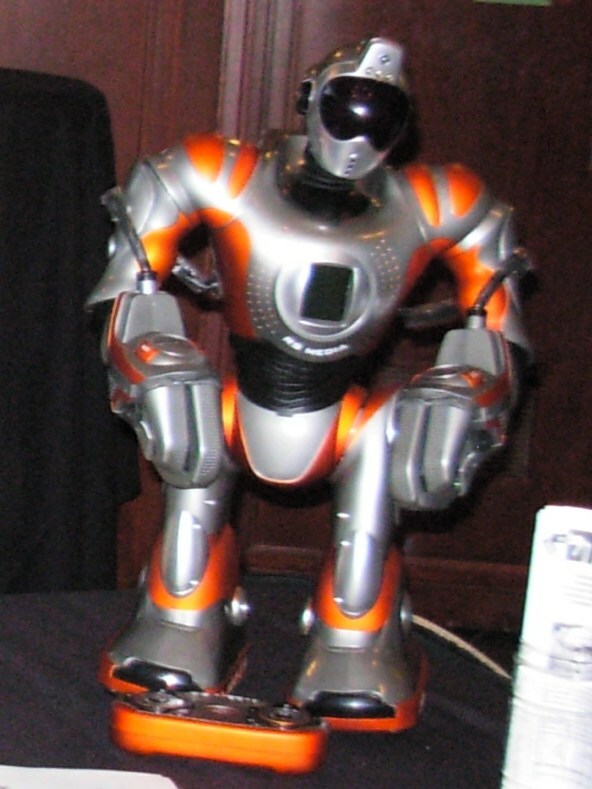 He is a humanoid type of robot, with walking capablities and other features like multi media and customizable routines. RS Media humanoid type robot. 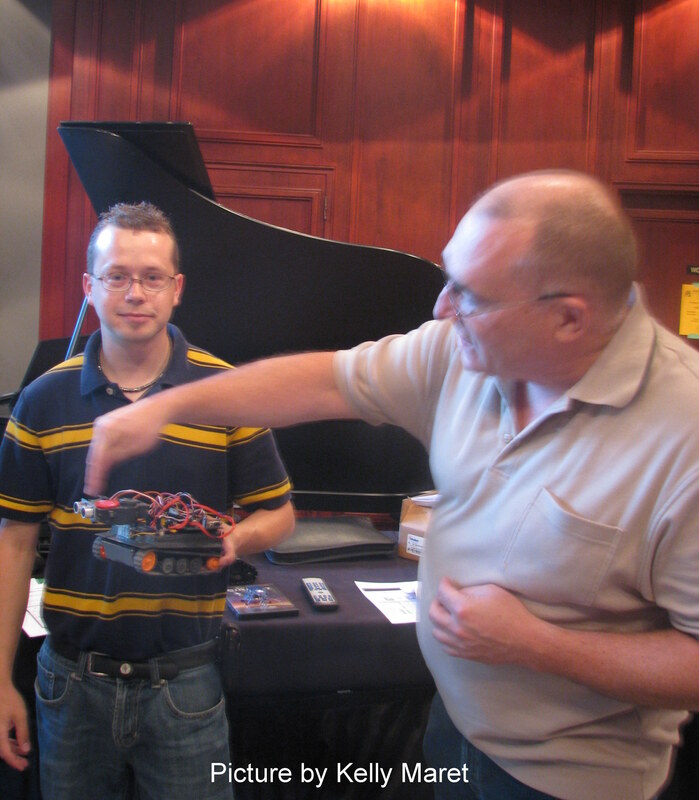 This entry was posted in Local Robotics, Robotics, WCRS, Website News on August 23, 2009 by Dave Lévesque. Wish I could have attended but it looks like you guys did awesome!